of the 2014 HopeDealer of the Year Award, presented by the Washington, D.C.- based The H.O.P.E. Scholarship Initiative. 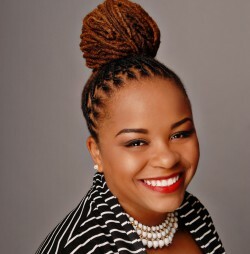 Just recently, she was a finalist for the 2015 HBCU Awards Alumna of the Year Award, and is a Bishop Michael Eldon School 50th Anniversary Warriors Golden Jubilee honoree. curriculum and instruction from Tennessee State University. celebrating the sesquicentennial of the Civil War.